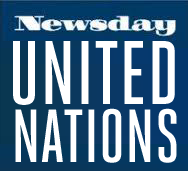 UNITED NATIONS — Why all the fuss? President Ronald Reagan and Soviet Foreign Minsiter Andrei Gromyko join a panel of international luminaries this week the General Debate of the 39th UN General Assembly, a debate that is no debate at all. Despite its “Much Ado About Nothing” aspects, the General Assembly remains the only international forum of its kind, the only place that less powerful nations can make themselves heard. Through its protocols and kempt diplomatic avenues, the UN keeps access open for East and West. Reagan comes first in the talkathon of some 140 speeches from heads of state, foreign ministers, deputy prime ministers, vice presidents and stand-ins whose remarks to the assembly are restricted by neither time limit nor framework for formal rebuttal. The assembly now has 159 members, the latest entry being the sultanate of Brunei, which was formally voted in on Friday. The debate ends Oct. 12 and then, after all the bosses have left town, General Assembly delegates get down to the real work. UN Ambassador Jeane Kirkpatrick describes the General Assembly as a somewhat problematic multinational legislative body whose principle product is resolutions. They may be interesting, she said, but they lack the status of law. “A great deal of time is taken up in truly empty rhetoric, harsh attacks and unrealistic schemes,” she said at a briefing for editors last week. Former UN Secretary-General Kurt Waldheim, writing in the magazine Foreign Affairs, decried the General Assembly’s practice of adopting packages of resolutions year after year that support the cause of specific interest groups. He cited Israel’s woes in credentials fights and other issues as one case in point. Over the past 15 years, while the United States was busy dismissing what it considered particularly odious General Assembly votes as “so much UN-ery,” the Third World captured the organization in power and influence. Efforts since to rebuild U.S. prestige have met with mixed results. A notable exception to the negative trend was the 1982 defeat of a Cuban move to get Puerto Rico declared a colony instead of a self-governing commonwealth. The Americans lobbied for six months and won their first General Assembly floor fight in 12 years on an issue of special U.S. interest. One U.S. diplomat suggested that the United States lost ground over the past 15 years by “playing its politics atrociously” with too great a deference to the Third World. “You can do better in this organization by playing this kind of politics better,” the diplomat said. There have been indications the Reagan administration may be fed up with the whole place. The United States decision to pull out of UNESCO in 1985 has been cited as one. And one year ago, Charles Lichtenstein, then deputy chief of the U.S. mission here, shocked delegates when he told a committee that if member states feel they are not welcome, they are welcome to leave. “We will put no impediment in your way . . . and will be down at the dockside bidding you a fond farewell as you sail into the sunset.” Officials quickly noted that Lichtenstein was speaking only for himself, but privately some conceded that his feeling was backed by considerable public sentiment. Nevertheless, the United States remains committed to the institution and has backed that commitment with voluntary financial contributions that have kept pace with inflation. So it goes. Until just before Christmas, the General Assembly will churn out resolutions, debate new issues and rehash festering global problems. South Africa’s apartheid policy is on the agenda for the 38th time in 39 years. Of the 139 proposed agenda items, only three are new: a Mongolian call for the right of peoples to peace; the African economic crisis and the celebration of the 150th anniversary of the emancipation of slaves in the British empire. The new General Assembly President, Paul Lusaka of Zambia, last week reeled off his short list of urgent global issues: the arms race, the Mideast, southern Africa, Kampuchea, Antarctica and outer space. But the most urgent issue of all, he said, didn’t make the list. “It’s the lack of dialogue between the two superpowers,” he said. Perez de Cuellar said that while the UN had little to do with the upcoming U.S.-Soviet meetings, it was the General Assembly’s annual debate and its customary attendance by world leaders that provided a perfect pretext for the first high-level Soviet-U.S. discussion since January, and Reagan’s first encounter with a senior Soviet official. UN role or no role, President Reagan did not want to miss his chance to lead off the General Debate tomorrow. Gromyko absented himself last year, but did not plan to do so again. His speech comes on Thursday. Ineffectiveness and superpower parleys aside, the General Assembly continues to play its most important role for the little guys.